Her name is Allison & she WON! I believe in God. I talk to Him several times a day. He is my pal. I also question Him. I shake my head at some of His choices. I have a list of questions to ask Him when he calls me home. I’ve been shaking my head a lot this week. He called my friend Allison home. No doubt she ran into His arms. Her love for Him was extreme. I returned from her funeral a few hours ago. My first Catholic funeral. It was lovely. Very peaceful. The priest was calming and the whole service was soothing. I didn’t know the responses to the prayers and I thought I was going to sneeze from the smoke they wafted around her casket, but I felt really close to God…..from one control freak to another, nicely done Allison. We all know you planned the entire thing. The mass ended with a letter from Allison. I’m pretty sure no one was surprised by this……Allison having the last word. Her letter began with her asking all of us to not say that she lost her battle with cancer, but instead reminding us that she WON. She won at life. She won at love. She won at friendship. She won at work. She won as a sister & daughter. And most importantly she won as a mom. We met about 16 years ago because of my hubby. Allison was a friend of his from high school. We all chaperoned a youth skiing trip and I ended up in a seat beside Allison on the bus. Jeremy had great ‘girl’ friends who welcomed me with open arms. About six years ago we were sitting beside one another again. This time it was at Buckeye Gymnastics. My son Noah and her daughter Paiden were in the same class. Every week I got to sit with Allison and talk. We started with catching up on our lives. 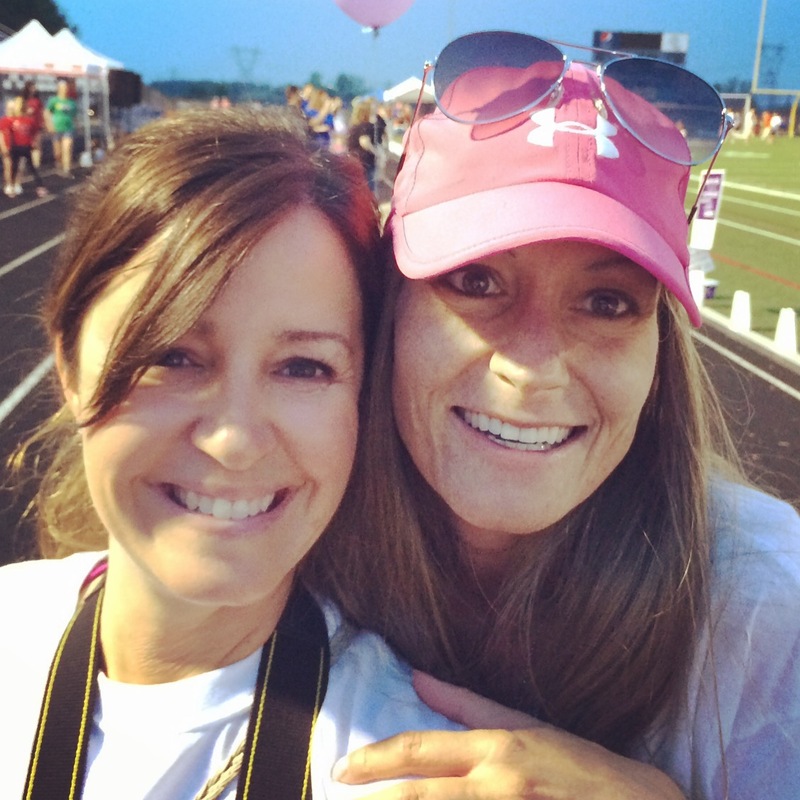 I had followed her battle with breast cancer through other friends, so we chatted about that as well. Our conversations were often interrupted with, “Mom, watch this!” or, “Mom, did you see that?”. Out of the blue my dad was diagnosed with stage three colon cancer, moved in with me and began treatment at The James. It really did happen that fast. Allison was ready. She was ready with hugs. She was ready with friendship. My dad came to gymnastics one night. Allison met Chic. Chic met Allison. A fierce friendship began. They talked cancer. They talked treatment. They talked life. They talked God. They talked. Always honestly. They became Facebook friends and exchanged emails. That was six years ago. She was too sick to see my dad when he was in town last month, but they talked via text. I told her several times how much she and her friendship meant to my dad. They had a connection from the start. I miss her already. I will miss her texts and her thank you cards. I will miss knowing she is gracing this earth. I did not want this day to come and I surely do not want to attend another funeral because of cancer. A cure is out there. It has to be………. let’s find it. For Allison. Donate to Families for a Cure in her memory. Now!